The Prince and the Dressmaker follows Frances as she is fired from her job as a seamstress and immediately hired for a mysterious person. 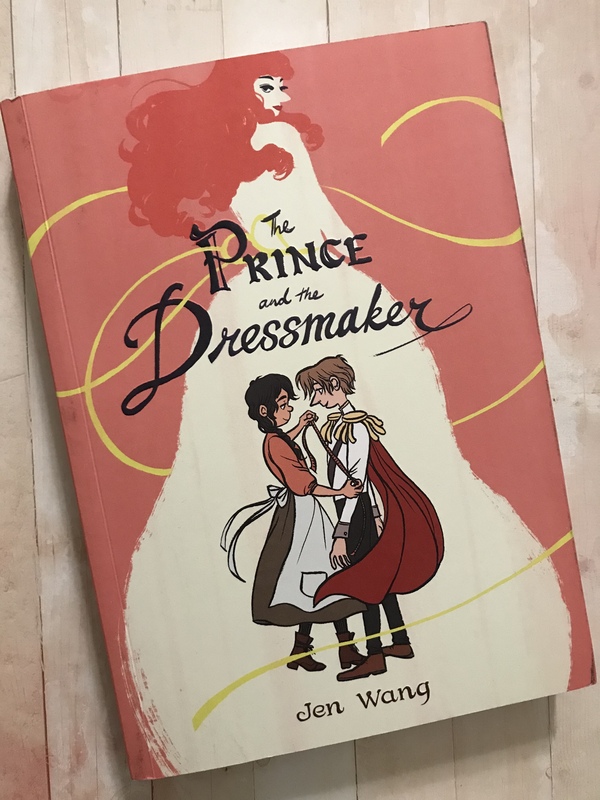 Quickly, she learns that the person who wants her to make dresses for them is the Prince, Sebastian. While this is surprising, Frances was hired to do a job, and she plans to do it well. Their friendship grows as Frances makes dresses for Lady Crystallia (Sebastian’s alter ego), and they go out at night together. It is difficult, though, because Prince Sebastian is hiding his time as Lady Crystallia from everyone other than Frances, and he is supposed to be trying to find a bride. That’s a lot for anyone to juggle, especially a 16 year old. Things aren’t perfect, for either Frances or Sebastian, but I highly recommend reading their book. 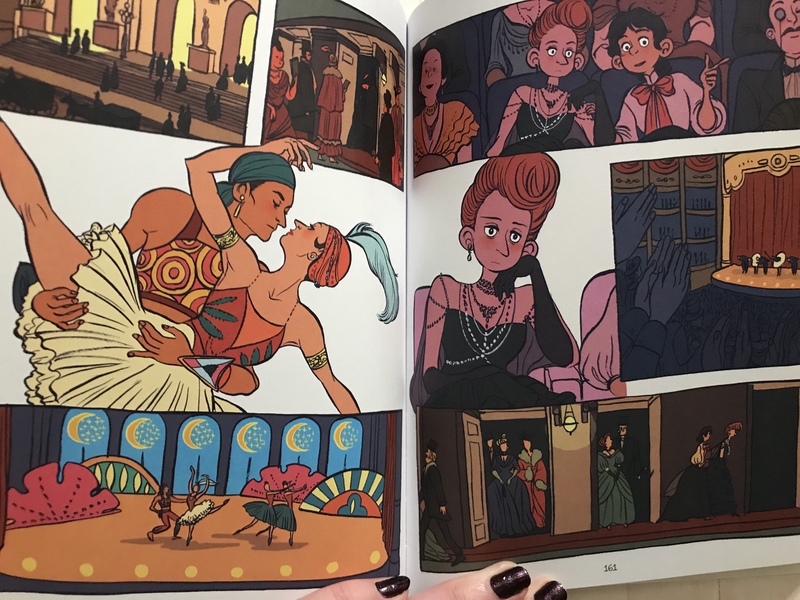 Jen Wang (author and artist) told this story beautifully, with some funny panels mixed in with the serious and beautiful. I can’t get over how much I loved this story. 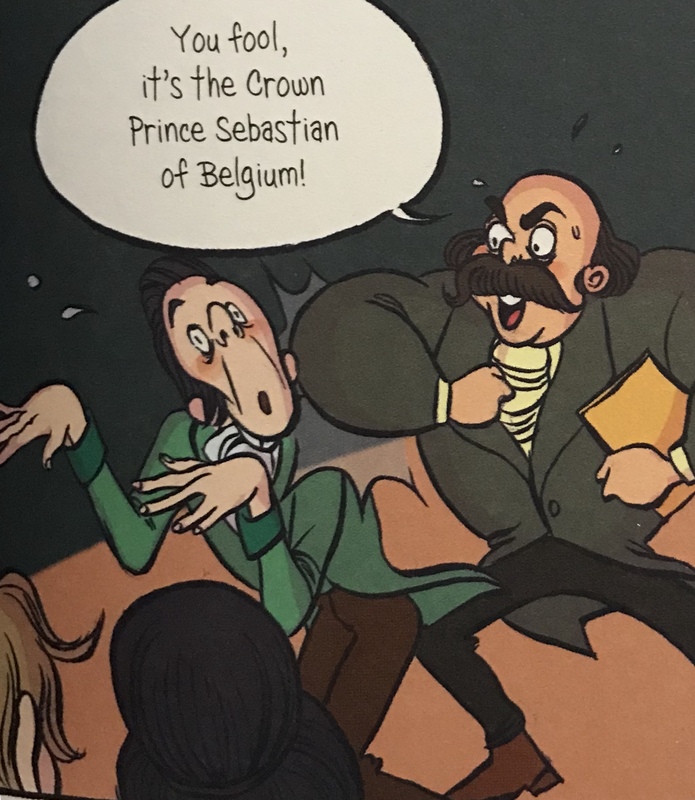 While I’d happily read more about Sebastian and Frances, I’m glad this is a contained graphic novel. This was told beautifully and perfectly, and I’m so grateful that I took the time to read it. If you’re looking to enjoy a graphic novel, you can pick this one up on Amazon, Barnes and Noble, or wherever you buy books!